world AIDS orphan day-I know, yesterday! Can't get it to fit right, but you should get the point. :) Have a blessed week. Pat should meet Abe, though doubt this mama bear would allow it! I posted yesterday encouraging you to watch the story on the Orphan Summit. While the actual clip on the Summit was excellent and had me "amening" (is that a word?) through it all, I simply wasn't prepared for the exchange between Pat Roberston and Terry Meeuwsen. As Mr. Robertson began to speak, it became clear to me that he was trying to not only caution those listening to be aware of the "risks" of adoption, but was actually trying to discourage it! Once he said that you may end up with a brain damaged child, that was it for me! I physically got hot, and the tears started to well up! All that I could do was think of my Abe, sleeping in the next room. The tone of his voice clearly conveyed that a child with anything less than a "perfect" or "normal" brain was somehow of less value, less worthy of love, of having a mother and father, siblings, aunts, uncles, friends and cheerleaders...........WHAT?? Would Mr. Robertson have rather my Abe spend his days in a crib in Ethiopia, with muscles so stiff he was unable to move? So thankful that our God is SO much bigger and had such a bigger plan for Abes life, for our lives! He proceeded to use the reference in Scripture the need to "count the cost" in an attempt to justify his position. Count the cost?? Are you serious? Jesus never gave us an ounce of promise of a happy, stress free life! In fact, he said take up your cross, follow me...."any of you who does not give up everything he has cannot be my disciple." Why, why would we do this? David Platt says in Radical, "Why, because you have found something worth losing everything else for. This is the picture of Jesus in the gospel. He is something- someone- worth losing everything for. And if we walk away from the Jesus in the gospel, we walk away from eternal riches. The cost of nondiscipleship is profoundly greater for us than the cost of discipleship. For when we abandon the trinkets of this world and respond to the radical invitation of Jesus, we discover the infinite treasure of knowing and experiencing him." Pat clearly feels that the "hard" simply isn't worth it, the "counting the cost" is an excuse to not obey the commands to care for the orphan, defend the fatherless. What a slippery slope, if we twisted that and used counting the cost to not ACT, we wouldn't DO anything. This is Hailee, eating her very first cake EVER! Can you seriously say she isn't WORTH it? A feature story on Summit VI will air on the ABC Family Channel at 10 AM EST on Thursday May 20. You can also watch it online at www.cbnnews.com. Having a hard time finding the words to express how this book is kicking my tail. Like Crazy Love and Hole in Our Gospel, kick. Get it, read it and let me know what you think. 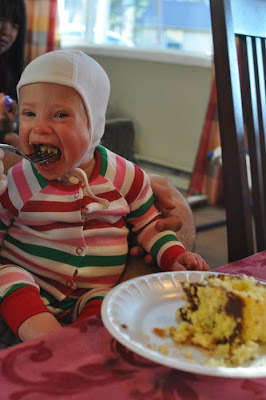 "Adoption is not for sissies!" I love that saying because man is it ever true. 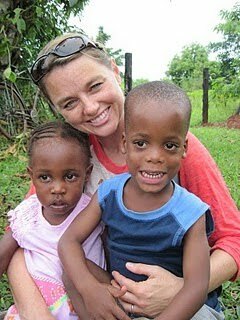 Would you please lift up my dear friend Gwen and her two kiddos waiting for her to return to Uganda to bring them home? I can not wait to tell you all about my precious children ... They are a miracle and all we ever dreamed ... Their brothers and sisters are so anxious to have them home and Daisy already has Scott wrapped around her little finger w/ her sweet voice not to mention that Joseph can dance like His daddy (used too)! PRAY, PRAY, PRAY, PRAY, PRAY, PRAY, PRAY, PRAY, PRAY, PRAY, PRAY, PRAY, PRAY, PRAY, PRAY, PRAY, PRAY, PRAY, PRAY, PRAY, PRAY !!!! Go read an amazing article on my rockstar sister-in-law. Click here to read. It is such a wonderful story for Mother's Day. I know this was yesterday, but I am sick and we have company! This is a great post from Erin that I wanted to share. Today, May 7, is World AIDS Orphans Day. World AIDS Orphans Day is a grassroots campaign to draw attention to and advocate on behalf of the millions of children orphaned by AIDS. It is a day to remember, and hopefully a day to do something to help out the children in the world who truly are "the least of these". (See below for lots of things you can do to help). Here are some of the staggering facts. Please read them... please really stop and think a minute about these statistics. 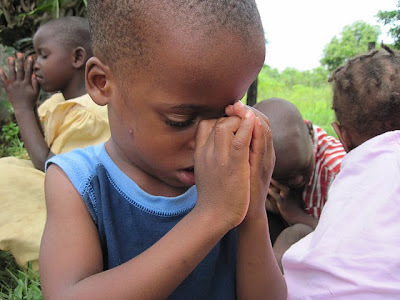 There are over 15 million children orphaned by AIDS living around the world RIGHT NOW. 15 million is the equivalent to the number of all of the people living in New York, Paris, and Bangkok combined. That is an awful lot of children. Well over 12 million AIDS orphans live in Sub-Saharan Africa, alone. Experts believe that millions more orphans remain unaccounted for in India, China and Russia. This year the number of children who have lost one or both parents to AIDS is expected to reach 25 million. Today, another 6,000 children will be added to the already 15 million children world wide who have been orphaned by the HIV/AIDS crisis. In addition to the trauma of losing a parent, orphans are often subject to discrimination and are less likely to receive healthcare, education and other needed services. In HIV affected households lacking community support, food consumption can drop by 40% putting children at risk to hunger, malnutrition and stunting. Impoverished and often without support to educate and protect them, orphans and vulnerable children face increased risk of HIV infection. (And there are already an estimated 2 million children currently living with HIV). Orphans are often easy prey to many forms of exploitation: forced labor, prostitution and child soldiering. In the United States, if a child loses a parent to accident or illness, it is considered a terrible tragedy. Such stories are covered by the media, communities mourn and show their support, etc. In Sub-Saharan Africa, parents dieing is a normal part of life. It is still a terrible tragedy for those children, but it happens so often that no one else really pays any attention. And do you know what makes this really, truly horrible? Do you know what makes my gut twist and my heart ache? HIV IS COMPLETELY TREATABLE. If a person contracts HIV in the United States or another country where there is treatment readily available, they have an excellent long term prognosis. Most HIV+ people receiving treatment now have close to normal life expectancies and can live in good overall health. With treatment, HIV+ children can be healthy and happy. They can go to school, grow up, go to college, have (healthy!) children, and live long enough to raise them and beyond. Without treatment, an estimated 50% of HIV+ children will die before the hit their second birthday. My Solomon was almost one of those 50%. HIV does not have to be a death sentence, and yet for thousands of people every day, it is, because the world doesn't care enough to really do something about it. Can you imagine for one minute if some terrible disease struck the United States (or whatever country you live in) and was killing thousands and orphaning thousands every day? Can you imagine if another country had treatment that could lead to good health and a long life, but it just was too expensive or too difficult or too much trouble to get that medicine to us? We wouldn't stand for it. So why do we stand for it now? I can't wrap my head around what 15 million orphans looks like. I can barely wrap my head around the 100 or so HIV+ orphans that I am trying to find adoptive families for. The numbers are staggering, and so is the need for action. Children are the future of our world, and I shudder to think about what this world will be like with so many millions of children growing up without the love and security of a family... and way too often growing up without adequate food, education and medical care. Where does that leave all of us? I know that it feels like the problem is way too big for us to really do anything to make a difference, but I know with all my heart that touching the life of just one, just ONE, child can truly make a difference. And if everyone touched the life of just one child, we could reach them all. Here are some ways that you can help touch the life of an AIDS orphan this World AIDS Orphans Day. - Get educated. One of the biggest roadblocks in getting people to care and take action is the stigma surrounding HIV/AIDS. This is not a disease that only strikes those who "deserve it" (yes, that is really how some people think!). This is a disease that strikes men, women and children... it strikes heterosexuals and homosexuals, it strikes people of all races and social classes and it strikes people in all countries. HIV/AIDS is a HUMAN problem. There is tons of great info on the World AIDS Orphans Day website. Fear is another big roadblock. HIV can not be transmitted in any casual way, and people that are HIV+ are not a threat to those around them. HIV can only be transmitted through sexual contact, birth, breastfeeding and blood to blood contact (such as sharing needles). I have written a ton about HIV/AIDS, and you can find those posts here. Once you are educated, join my Tell Two Campaign and share the truth about HIV/AIDS with others. Two excellent books to read about the HIV/AIDS crisis and the orphan crisis are There is No Me Without You and 28 Stories of AIDS in Africa. - Sponsor an AIDS orphan. There are many wonderful organizations out there that allow you to sponsor a child for a very low cost per month. Doing so makes a great difference in the life of that child, and getting to know the child you sponsor through pictures, updates, letters, etc. will have a great impact on your life as well. I promise. AHOPE for Children (which supports AHOPE Ethiopia, a home and community support program for HIV+ children in Ethiopia which literally saved the lives of my Belane, my Solomon and countless other children) has child sponsorships for $30 a month. And you can send a text to AHOPE to 85944 to make a $10 donation. I know that financially times are hard for many right now, but we live better than most people in the world and would have to sacrifice very very little to sponsor (and truly help) an orphaned child. - Another great organization to support is Because Every Mother Matters. Today is $10 Friday and they are trying to raise money in honor of Mother's Day to build a maternity clinic in Ethiopia. If we care for the mothers, we we have less orphans. - Consider adopting. Adoption is only an option for a tiny percentage of the 15 million AIDS orphans around the world and it is certainly not the solution to the AIDS crisis or the orphan crisis, but for the tiny percentage of children who do get adopted, it changes their world and their future dramatically (and for the adoptive parents, it is equally amazing). There are agencies and programs placing healthy and special needs orphans from all over the world with new families. If your heart may be open to adopting an HIV+ child, I have about 100 amazing children of all ages waiting for a second chance at love, family and life. I am proud to work for Adoption Advocates International who has a thriving program placing HIV+ children from Ethiopia, and is also finding families for HIV+ children in Ghana and Thailand. I currently have almost 90 HIV+ children waiting for new families in Ethiopia. You can read here why I believe in adoption, and you can read here why I feel so passionately about adoption for HIV+ children. - Support From HIV to Home, an organization that helps provide care for HIV+ orphans and supports and helps parents adopting HIV+ children. - Support Project HOPEFUL, whose mission is to "encourage, educate and enable parents adopting children with HIV/AIDS". - Visit the World AIDS Orphans website for other ways to touch your heart, get educated and get involved. 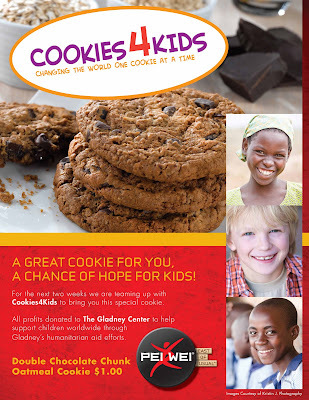 For a limited time (May 3-16), Pei Wei Restaurants in Texas and Arizona are teaming up with Cookies4Kids to bring a special cookie (Double Chocolate Chunk Oatmeal Cookie). 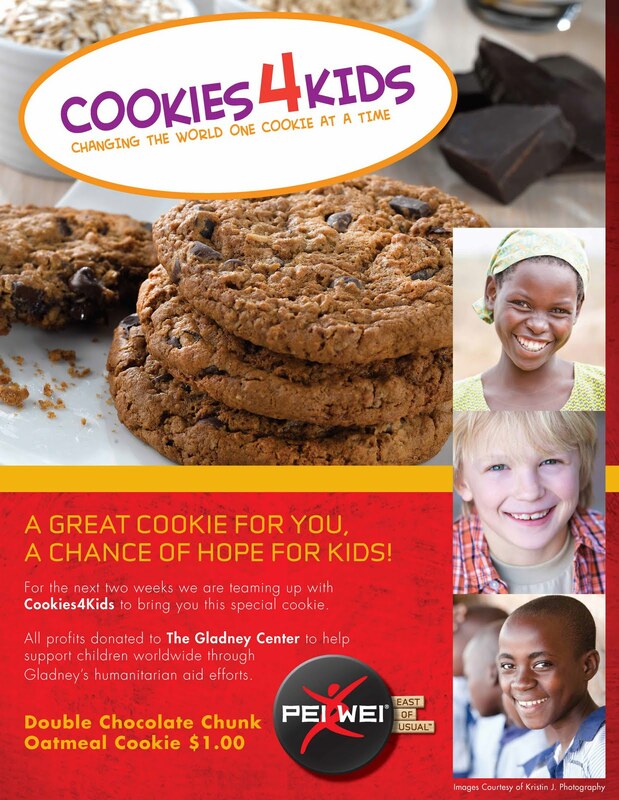 The cookies will be sold for $1.00 each, and all profits from the cookie promotion will be donated to the Gladney Center to help support children worldwide through Gladney’s humanitarian aid efforts. Go buy a cookie, and support kids!! Get creative! For only a $1 (and they are large, yummy cookies- I had one today!) call ahead to order a dozen, take them to your kids school, Bible study, and support orphans! Be sure to tell Pei Wei just how much you appreciate their efforts to use their position to support orphan care. Moody met Scott Brown (Gladney) today for lunch and they about cleaned them out. They were told that on a typical day that store would sell about 7-10 cookies. They made 18 this morning thinking maybe this promotion would sell a few more than normal. They were amazed that by noon, they were almost already out of cookies! If you look closely on the flyer, you will see that Kristin generously donated the pictures to the campaign! Love her heart for the orphan.